16 dream destinations. Two days at each. Passes for Sun Valley and Snowbasin are still valid for the 2018-19 season. While supplies last. Children must be under 13 at time of purchase. Enter your email below to stay up to date on The Mountain Collective. Thank you. You have successfully subscribed to receive updates. Don't miss your opportunity to get insurance during your Mountain Collective pass purchase. Ski the world's best, mountain after mountain. Founded in 1938, Alta Ski Area is an iconic winter destination with a rich history. A seasonal average snowfall of over 550 inches, coupled with a philosophy of offering an authentic ski experience, have developed generations of skiers who consistently call this Utah resort their special place. Alta Ski Area is for skiers only. No snowboards please. At Aspen Snowmass, endless adventure is guaranteed. With more than 5,500 acres of terrain on four mountains, each day greets you with infinite possibilities all accessible on one lift ticket. Plus, the extraordinary moments aren't just limited to the slopes. Aspen Snowmass features the kinds of restaurants, nightclubs, shops and art galleries that most cities in the world - let alone mountain towns - would envy. Some say it's is the best of both worlds. We just call it home. And we're eager to share it with you. Big Sky Resort is bigger than your imagination. With more than 5,800 acres of contiguous skiable terrain and a vertical of 4,350 feet, Big Sky Resort offers skiing that's unmatched anywhere else. No matter whether it's the chutes off of Headwater's Ridge or 300 degrees of skiing off of Lone Peak, which stands at 11,166 feet, your best days of skiing are still in front of you. Plus, with an average of 400 inches of snow annually, Big Sky Resort offers endless powder pockets. If you haven't experienced Big Sky Resort, then you haven't experienced The Biggest Skiing in America. At 11,053 feet, Mammoth boasts the highest summit of any California destination, making for deeper, higher quality snow, beautiful views and a season that can last until July. And with 3,500 skiable acres, 400 inches of snowfall and an average of 300 days of sunshine per year, we enjoy re-earning our reputation as California's only real big mountain skiing/riding experience each and every season. Snowbird offers more than you're used to in a mountain vacation: 500 inches of average annual snowfall, over 2,500 skiable acres and 3,240 vertical feet of legendary terrain, spectacular scenery and the longest season in Utah. Located only 29 miles from Salt Lake City International Airport, this incredible accessibility makes same day skiing and flying a reality. Squaw Valley Alpine Meadows, located in Lake Tahoe, California is the ultimate winter experience offering diverse terrain choices across two legendary mountains. Stay in the heart of it all at The Village at Squaw Valley for the ultimate in convenience to shopping, dining and activities for the entire family. Taos has long been appreciated as an authentic, big mountain experience. From wide-open groomers and bowls to tree-lined glades, bumps and chutes. Topping out at 12,450 feet, our Kachina Peak Lift gives guests direct access to the expansive terrain along with spectacular views of the Sangre de Cristo mountain range. Enjoy world class terrain, events, newly renovated base area facilities and a world class ski school. Experience mountains so huge the view will stop you in your tracks. The towns and mountains of Banff & Lake Louise in Banff Nationals Park, Canada offer a winter adventure of a lifetime. Banff Sunshine sits high on the Continental Divide in the heart of Banff National Park just 15 minutes’ drive from the cozy mountain town of Banff. Three massive mountains provide breathtaking site lines, uninterrupted by any signs of civilization beyond the resort’s leasehold. With exchange rates boosting your savings by more than 30%, there has never been a better time to choose Banff & Lake Louise, Canada for a great northern ski escape. Receive up to 25% off lodging with selected properties in Banff & Lake Louise. Additional days at Banff Sunshine, are based on the one-day SkiBig3 Lift Ticket rate and are available for use at Banff Sunshine, Lake Louise and Mt Norquay. Experience mountains so huge the view will stop you in your tracks. The towns and mountains of Banff & Lake Louise in Banff Nationals Park, Canada offer a winter adventure of a lifetime. With over 4,200 acres spread across four mountain faces, Lake Louise is also one of the largest ski resorts in North America. The Lake Louise Ski Resort offers a variety of terrain from gentle slopes and long cruising runs, to glades, chutes and some of the Canadian Rockies most exciting and wide open bowls.With exchange rates boosting your savings by more than 30%, there has never been a better time to choose Lake Louise, Canada for a great northern ski escape. Receive up to 25% off lodging with selected properties in Banff & Lake Louise. Additional days at the Lake Louise Ski Resort, are based on the one-day SkiBig3 Lift Ticket rate and are available for use at Banff Sunshine, Lake Louise and Mt Norquay. Since 2007, Revelstoke Mountain Resort has offered the most vertical in North America - 5,620 ft - spanning 3,121 acres of terrain. Ride deep, light BC powder over 3 high alpine bowls and 65 named runs & areas, including legendary glades, steep cliffs and pillows, and endless fall-line groomers. Over 120 years of skiing history has created an authentic ski town that celebrates winter in all its forms. From diverse shopping and dining options on Mackenzie Avenue to fascinating museums and art galleries, Revelstoke's heritage downtown will charm you. Niseko United is one of Japan’s premier ski resorts, with over 2,000 acres of skiable terrain split over 4 resorts - Grand Hirafu, Niseko Village, Hanazono and Annupuri. Niseko United is located on Japan’s northern island of Hokkaido, a 2 hr flight from Tokyo to Sapporo-Chitose, the region's main airport. Niseko’s charm has always been its sheer quantity of quality snow. Seasonal winds from the Eurasian continent pick up moisture over the warm currents of the Sea of Japan to form clouds made of some of the driest, lightest powder snow in the world. With Japanese cuisine and culture available at every corner, the resort is now also offering an excellent selection of award-winning international restaurants, great local bars and a friendliness towards international travelers that can be found throughout. Come visit us and see what the fuss is all about! Mt Buller is one of Australia’s best-loved ski destinations. An easy 3 hour drive north-east from Melbourne Mt Buller attracts a cosmopolitan crowd to its picturesque 300ha ski area and vibrant alpine village. It boasts Victoria’s largest lifting network accessing a wide range of terrain from gentle beginner runs to thrilling steeps and bumps. An eclectic mix of dining, bars and hotels sit high in the snowline and with 8000+ beds on mountain guests enjoy easy access to the ski runs. Supported with state of the art snowmaking and a wide range of amenities including an alpine spa, Olympic training facilities, movie cinema, supermarket and snow play parks Mt Buller is a popular winter escape. Valle Nevado is South America's premier ski resort, offering access to 7,000 acres of terrain and the most modern lift system in Chile. The resort is just 90 minutes from the capital city Santiago, 9,800 feet high in the spectacular Andes Mountains. No lift lines, uncrowded slopes, and a friendly ambiance are the hallmark of Valle Nevado, and the resort boasts the continent's best heli-skiing with runs of up to 5,000 vertical feet. Valle Nevado offers easy-to-book, all-inclusive hotel packages and independent condominiums, offering guests a complete experience with shopping, six restaurants, a spa and fitness center, and a pub with live music. Queenstown, New Zealand, the adventure capital of the world, is home to two of New Zealand’s best ski areas Coronet Peak & The Remarkables. Voted the South Pacific’s Number One Destination by Tripadvisor this stunning resort town packs a huge punch and is hot on the travel bucket list. Coronet Peak, New Zealand’s premier ski area is a 20 minute drive from the heart of Queenstown offering skiers spectacular views, awesome terrain and incredible back bowls to challenge the most discerning skiers and riders. With modern lifts, restaurants, world-class grooming and extensive snowmaking it’s no wonder why some of the best ski racers in the world use Coronet Peak on their international training circuit. Across the valley, The Remarkables, located in the heart of Queenstown’s iconic Remarkables mountain range, is renowned for its friendly, relaxed atmosphere and is loved by families, freestylers, extreme skiers and boarders alike. Thredbo is Australia’s Premier Alpine Resort. Located in the heart of the Australian Alps, only kilometres from the peak of Australia’s highest mountain, Thredbo boasts the country’s best snow terrain with Australia’s highest lifted point (2037m), almost double the vertical fall line of any other Australian resort (672m) and the country’s longest runs. This, combined with a bustling European-styled village situated right at the base of the mountain with over 30 bars and restaurants and year-round access for back-country enthusiasts, mountain bikers and outdoor adventurers has cemented Thredbo as Australia’s premier alpine destination for over 50 years. Your pass is even sweeter with access to these mountains. Take advantage of your pass benefits and ski around the globe. Mountain Collective global affiliate benefits are valid only at the current Mountain Collective Global Affiliates. Global Affiliates are subject to change each ski season. The Chamonix valley is legendary, unique and incomparable, it is a land crammed full of history and sporting feats, a natural environment that will take your breath away. A mecca for skiers, snowboarders and free riders with the mythical area “les Grands-Montets” and the descent of "Vallee Blanche" but also plenty of terrain for intermediates and beginners. In Chamonix, no matter what your ability level, you will find a safe environment to create your own history at your own pace. Members will receive the Chamonix "Le Pass" lift ticket, usage restrictions apply, please click here for more information. We're here to lend a hand. Or glove. For the 2019/20 winter season, skiers and riders are invited to join the Mountain Collective. Those who join the Mountain Collective receive two free days of skiing or riding, unlimited 50% off single day lift tickets thereafter, and exclusive lodging deals at each of these 17 destinations: Alta (Utah), Aspen Snowmass (Colorado), Big Sky Resort (Montana), Banff Sunshine (Alberta), Coronet Peak | The Remarkables (New Zealand), Jackson Hole (Wyoming), Lake Louise (Alberta), Mammoth Mountain (California), Mt Buller (Australia), Niseko United (Japan), Revelstoke Mountain Resort (British Columbia), Snowbird (Utah), Squaw Valley Alpine Meadows (California), Sugarbush Resort (Vermont), Taos Ski Valley (New Mexico), Thredbo (Australia), and Valle Nevado (Chile). With the Mountain Collective, it’s now possible for passionate skiers and riders to claim thousands of vertical feet and chase ideal winter conditions across Alberta, Australia, British Columbia, California, Colorado, Montana, New Mexico, New Zealand, Utah, Vermont, and Wyoming. Affiliate Destinations Include: Chamonix (France). Please note that Mountain Collective Members only receive 2 free lift tickets at the global affiliate destination, and other benefits do not apply. See more here. When is my Mountain Collective Pass valid at Southern Hemisphere resorts Mt Buller, Thredbo, Coronet Peak and The Remarkables? Your 2019/20 Mountain Collective Pass is valid during the 2019 ski season at Mt Buller, Thredbo, and Coronet Peak | The Remarkables. The Mountain Collective Pass is non-refundable and non-transferrable. All purchases are final and may not be refunded, transferred between parties, or transferred to another season. We encourage you to consider the option of pass insurance from Allianz Global Assistance to help protect your investment. This protection is available during the purchase of your Mountain Collective Pass. After you have redeemed your two days at a member destination, simply go to the ticket window at that destination and present your Mountain Collective Pass. All tickets you purchase for yourself for the rest of the season will be 50% off the single-day ticket window rate for your age group on the day it is used. These tickets are non-transferable and can only be used by the individual whose name is on the Mountain Collective Pass. Special note – Banff Sunshine and Lake Louise Ski resort window rates are based on a one-day SkiBig3 Lift Ticket rate. Please note, that the global affiliate destinations: Chamonix (France) do not qualify for 50% off lift tickets. There are no blackout dates with the Mountain Collective Pass or the 50% off lift tickets; however, there are blackout dates for lodging. Typically, if you visit one destination for six days or more the pass will pay for itself. 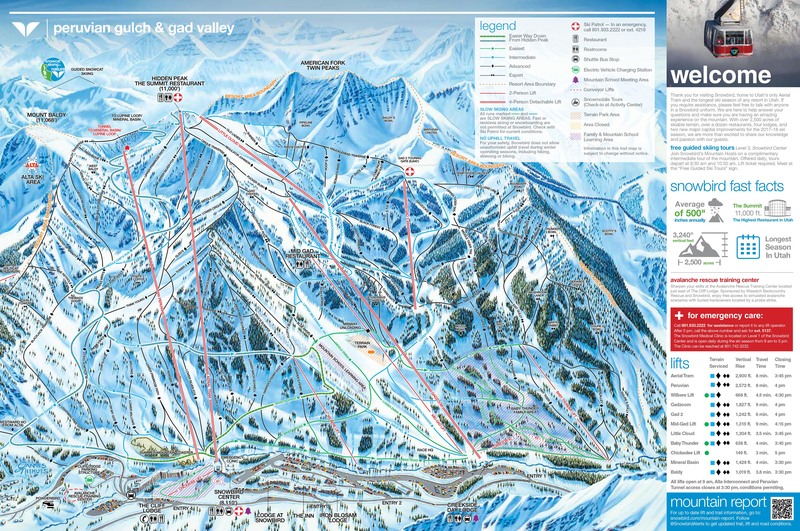 In regards to multi-mountain destinations such as Aspen Snowmass, Squaw Valley Alpine Meadows, and Coronet Peak | The Remarkables, do I get two free days of skiing at each mountain? You will receive two days of skiing at each DESTINATION, not MOUNTAIN. For example, you will receive two free days of skiing between Alpine Meadows and Squaw Valley, as those two mountains are the same destination. This is also true for the Aspen mountains (Highlands, Buttermilk, Snowmass and Aspen), the Mammoth Resorts (Mammoth Mountain, June Mountain, Bear Mountain, and Snow Summit), and Coronet Peak | The Remarkables. Individuals who purchase their Mountain Collective Pass during the spring sale will receive one additional free day of skiing or riding, at the resort of their choice. Springtime passholders will select the resort they wish to use their third bonus day at for the 2019/2020 season. Your third bonus day selection is final, we are unable to change the destination. When available the Mountain Collective Pass can be purchased online at: mountaincollective.com or by calling us at 1-800-705-6286. If you are calling from outside of the United States, please call us at +1-415-366-5768. Australian customers can purchase the Mountain Collective Pass online at: http://mountaincollective.com or through a local major wholesaler. For support in Australia and for Thredbo, please call 1300 020 589. Do you have phone support in Australia? Yes! If you are in Australia, please call us at 1300 020 589 and ask for Mountain Collective Support. When can I use my 2019/2020 Mountain Collective Pass at Valle Nevado? You can use your 2019/20 Mountain Collective Pass at Valle Nevado during their 2019 ski season.